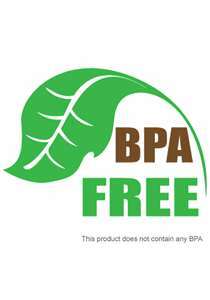 We’ve posted about the harms of BPA (Bisphenol-A) here, here and here. 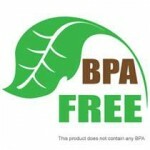 The estrogen-mimicking chemical has been banned in bottles in Europe, Canada and China while remaining legal here in the U.S. Until the laws change or businesses figure out BPA-free is competitive advantage, we’ve put together a list of 10 ways you can avoid BPA and cut down on your exposure. Cut down on the plastic in your food and beverage choices and choose glass, ceramic or metal (non-coated) whenever possible. For your next cookout, use paper-based plates instead of plastic or plastic-coated plates. Buy your milk in a cardboard carton instead of a plastic gallon. Choose fresh or frozen foods (in cardboard box, not the plastic steam-in-a-bag variety) over canned foods. This past winter, Consumer Reports found alarming levels of BPA in the lining of most canned foods in our grocery stores. Choose glass instead of plastic for storing leftover foods. Avoid microwave-ready, plastic wrapped foods. Instead choose a make-ahead meal and store it in portable glass container that can go from the fridge to the microwave. If you see a number “7” on our plastic products, it more than likely contains BPA; send it to the recycling bin. If you have a baby and you’re using formula, choose powder over pre-made. You’ll save money and avoid the bottles for pre-made which contain BPA. If you do have plastics, always hand wash even when it says “dishwasher safe.” The heat from the dishwasher can break down the plastic making it easier to leach chemicals into your food or beverage and therefore into you. And for your daily water, choose a reusable glass water bottle over plastic water bottles.